The ski fields of Pas de la Casa in the the tiny Principality of Andorra bordered by Spain and France in Europe. 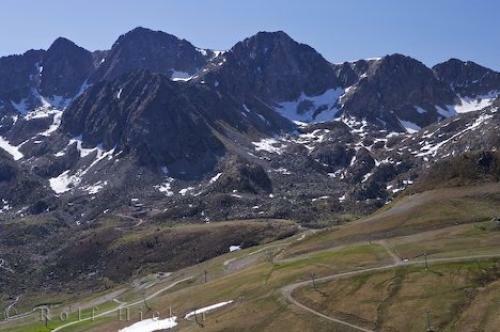 Photo of the Pas de la Casa ski fields in Andorra which borders France and Spain in Europe. ... An interesting fact about the tiny Principality of Andorra is that it has the highest life-expectancy in the world at 83.52 years, maybe due to the skiing and hiking.Pas de la Casa Ski Fields, at 2408 metres, Principat d'Andorra, Principality of Andorra, Europe. I photographed this photo with the digital SLR camera model Canon EOS-1Ds Mark II, aperture of f/8.0, exposure time of 1/125 sec. on ISO 100, as always I used a original Canon Lens, the focus lenght for this picture was 57mm.